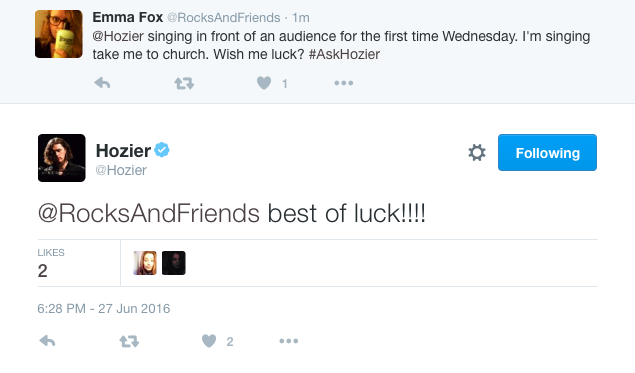 Hozier treated fans to not one, but TWO question and answer sessions today on Twitter and Facebook. Here’s our recap, in case you missed them! The Internet connection wasn’t always the best, so the video quality can be sketchy. 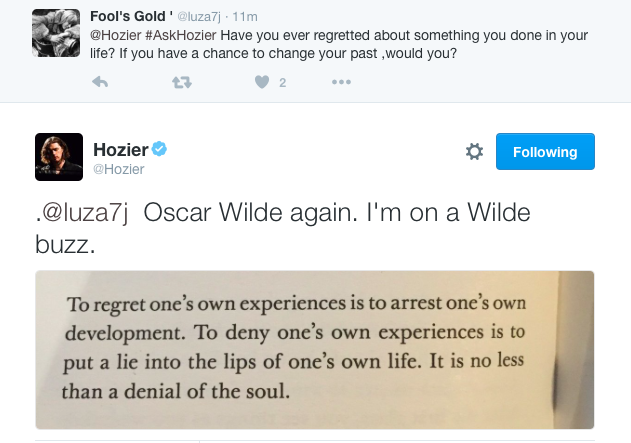 But it’s definitely worthwhile watching as Hozier was in fine unscripted form and even read some poetry. Watch it on his Facebook page. Tagged Facebook, Q&A, Twitter. Bookmark the permalink.